This is sorta kinda me! I am SERIOUSLY over-extended. With writing and kids and school visits/other book events and home improvements. Yikes! But I did want to let you know how much I've missed you all. It's lonely being this busy. I miss visiting all your blogs. I miss blogging. Yes, we will have The Book Review Club next Wed., May 6. Reviewers can expect an email from me on Thursday (the day after tomorrow). The book (I So Don't Do Makeup) is shaping up nicely. No word on the cover yet. The home improvements are going well. I'll have some before and after shots to post soon. Child #4 is way cutter than Child #3! And here's something I learned today about teens. How do your get a 15 year old son to say "I love you?" I probably won't blog again until The Book Review Club next Wed. Be good. Be well. See you then! p.s. If I get any free time, I'll spend it visiting blogs, not blogging myself. That's how much I miss you! Dogs enjoying the surf on Dog Beach. Our Dorothy is not in this picture. San Diego has great weather. 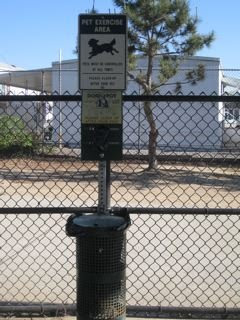 A lot of dog lovers live in San Diego. We have about seven leash-free beaches and nineteen leash-free parks. Here's a good place to check for locations. Some areas are open 24 hours. 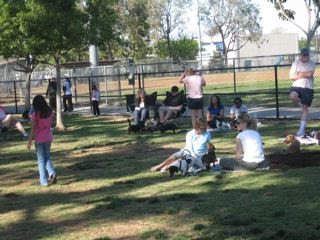 Many are fenced and divided into small dog and large dog areas. All are free. Here's a good website with all the scoop on leash-free parks/beaches. Here's the link to Bum the dog, a previous My Town Monday post. Child #4 is in the hot pink t-shirt. She's on the look-out for dogs to pet. She is seriously the biggest animal lover in our family. For the first time ever, Child #4 and I took Dorothy the Dog to a fenced-in, leash-free park. We got Dorothy from Craig's List (I'm not even kidding) almost two years ago. Why did it take us so long to venture to a leash-free dog park? Reason #1: Dorothy is very skittish and nervous around other dogs. Reason #2: Dorothy doesn't always come when called. That said, the three of us had a SUPER time at the dog park. Dorothy actually enticed a Dachshund to play with her! She did come when called. She was somewhat anxious, but got over herself. AND the ice cream truck came by; two of us got treats. Child #4 and I are thinking of trying a leash-free beach next time. My, my aren't we brave? 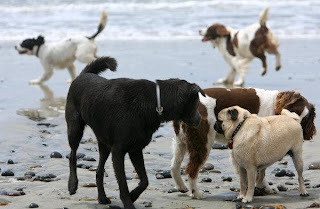 We will probably not go to the original Dog Beach (which is on Ocean Beach) because it gets very crowded. 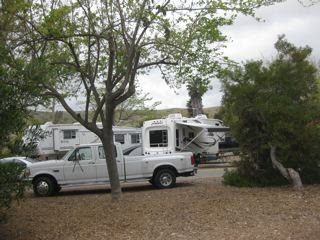 We're planning a trip with Dorothy to Fiesta Island because it's less crowded and has small waves. Also, the ENTIRE ISLAND is for dogs. I did not get a good picture of Dorothy. She was far too busy to pose. I figured no post about leash-free beaches and parks would be complete without a picture like this! 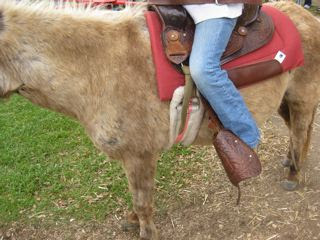 Please trot on over to Travis' blog where he'll have a fun post and links to other participants. Thousands upon thousands (no one knows exactly how many!) of people woke up yesterday morning to discover they were Canadian! The above YouTube was put out by the Canadian government to let people in on this phenomenon. You have to admire a government that's so down with the times! If you have a moment, watch it. It's very adorable and shows a man who goes to sleep in a boring room, but wakes in a very red-and-white room that's decorated with all manner of Canadian paraphernalia. The man is greeted by a friendly hockey player (who may still have all his teeth!) and a friendly mountie. By the way, this man is not representative of the kind of good looks you can expect to find in Canada! The upshot is that many people who lost or were not even granted their Canadian citizenship (Canadians who took out American citizenship between 1948-1977, border babies*, a group of Mennonites who moved to Mexico for a 3 or 4 decades, war brides, and more) have all been welcomed back into the big red Maple Leaf fold. *Trivia (and you know how I love my trivia): What are border babies? The answer is at the bottom of this post. How does this new bit of legislature affect my little family? My grandchildren (who I hope will not be born for a LONG LONG time!) will not be Canadian. Sigh. Up until today, my children's children would automatically have been Canadian. Now, only the first generation born abroad are given Canadian citizenship. 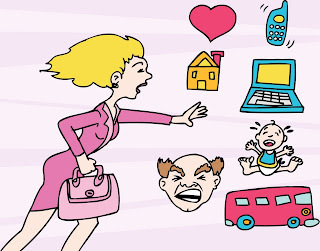 Unless, of course, I do something DRASTIC and CRAZY like kidnap my labouring daughter-in-law (and I hope not to have any of these for a LONG LONG time!) and speed north to a hospital in Vancouver, British Columbia. Given my poor sense of direction, this is unlikely to happen! For more details and to find out if you have turned Canuck without realizing it, go to Citizenship and Immigration Canada's website. This is a true cover story story. 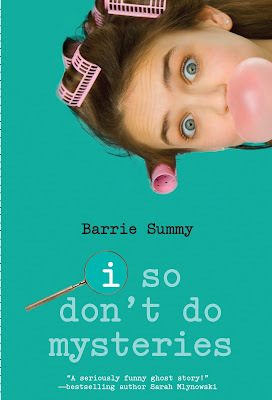 Once upon a time, a wonderful publisher by the name of Delacorte Press/Random House decided to change the cover for the trade paperback version of I So Don't Do Mysteries. They looked and they looked through lots and lots of stock photos and finally found two brilliant and magic pictures of the perfect girl to represent Sherry (short for Sherlock) Holmes Baldwin. Why two photos? One for I So Don't Do Mysteries. One for I So Don't Do Spooky. 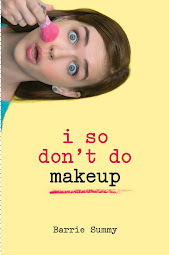 Enter Book #3: I So Don't Do Makeup. 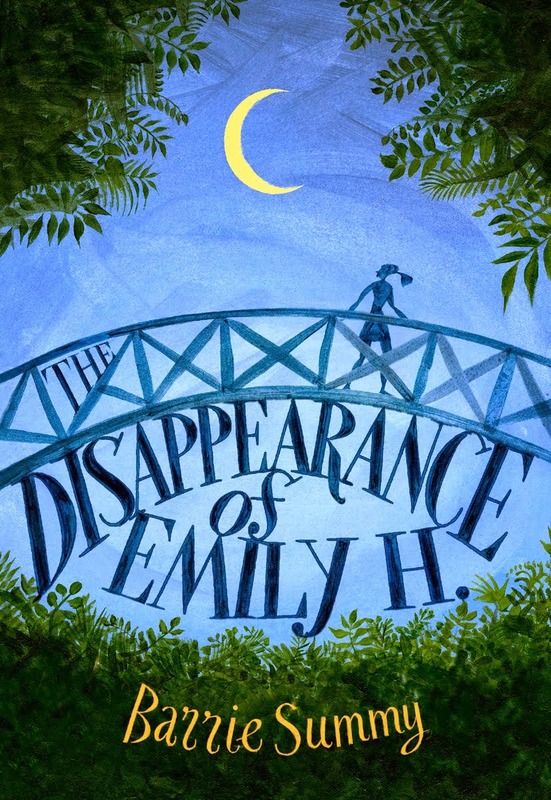 A book who deserves a brilliant and magic cover with the same perfect girl. 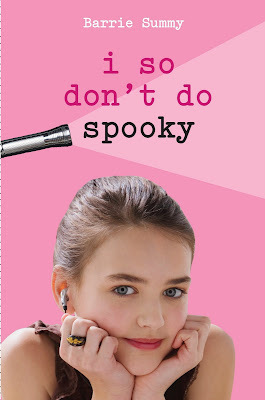 But, alas, there are no more stock photos of this girl. I get an email from Editor Wendy which cautions me in upper case letters not to get my hopes up. It's highly unlikely that this perfect girl will be located. And if she even is located, the odds are slim that she'll be the right age. Three days later, I get an email from a dad. From a dad who got a phone call from a local photographer who got a phone call from Delacorte. Yes, it was the perfect girl's dad. I'm guessing he googled I So Don't Do Mysteries or I So Don't Do Spooky or me. I'm guessing he found this blog and saw on the sidebar jpegs of the covers with the perfect girl. Guess what? She wants to be on the cover of I So Don't Do Makeup. Guess what else? She's the right age. Guess what else? Last weekend, a bunch of photos were shot of the perfect girl in order to choose a brilliant and magic cover for I So Don't Do Makeup. 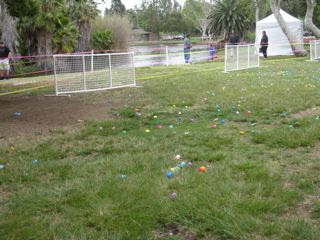 This weekend, Child #4 and I attended our town's very tacky Easter fair. DH and Child #3 were at a water polo tournament. Child #2 was at an AP European History study group session. Child #1 was sleeping in. So, swinging an Easter basket between us, Child #4 and I set off for the fair. In case you don't know, Child #4 is currently eight and at the height of her egg hunting game. She felt this was the year she'd "own" the hunt. 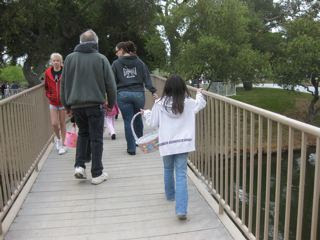 Filled with excitement and confidence, Child #4 marched across the bridge to "Easter Egg Island." With an exotic name like "Easter Egg Island", I was expecting more than this: a bunch of empty plastic eggs strewn around on the ground. After the hunt, all the kids were rewarded with coupons from local businesses (eg., a free slurpee from 7-11, a free frozen yoghurt from DIY). A few lucky kids had a piece of winning paper in one of the plastic eggs and which entitled them to...a small container of bubbles. Oh, my tacky, tacky town. Please tell me the hay ride doesn't go through the trailer park. It does! Oh, my tacky, tacky town. Child #4 rode a tired pony who was probably dizzy from going around and around in small circles. Oh, my tacky, tacky town. Then, as we headed to the dance area with its loud DJ and his corny jokes, Child #4 grabbed my hand and said, "Isn't this great? I'm getting all this Mom time!" Ack! Time for an attitude change. Because what's the truth behind tacky town fairs? That what counts is who you're with. Thanks for the fun time, Child #4!! Please trundle over to Travis' blog where he has a controversial post about dry counties. He also has links to the other MTM participants. This is an old photo I took. They don't still have their Christmas decorations up. It's the evening and I've escaped to a local coffee shop to write. Interesting place. There's a couple of guys playing guitar, three women knitting, a couple of girls discussing guys, a table of Scrabble players, a few loners like myself and a dwarf (little person?). Anyway, it's quite a mixed bag. I'm taking a short break from I So Don't Do Makeup and was thinking of you guys and thinking of my home renovations. And I decided to mix it all up and show you some strange items that are out there for those of us with home on the brain. 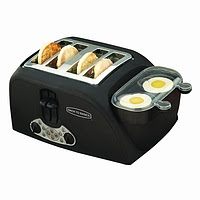 You can toast four slices of bread, cook two eggs and bacon ALL AT THE SAME TIME. My kids would love this little $55 item. This is a Smart Shopper. It sticks to your fridge with a magnet. You press a button and tell it your shopping list and your to-do list. You might even just be walking by and remember you're out of ketchup, so you tell it "ketchup." When you're ready to hit the stores, it'll print out your lists in alphabetical order. On a printer that doesn't even use ink. The Smart Shopper's about $25. And a bit of trivia from my research for Makeup: What do you call a group of Roadrunner birds? Oh wow. One of the guitar guys just picked up a harmonica and started playing it. Wow! I love love love the harmonica. This could be good for writing. Break over. Bye! I thought long and hard about what I'd like to write for this week's My Town Monday. Should I offer up the Chula Vista salt plant? How about the Ramona camel farm? Or maybe Mission Trails Park? And, while all these places would make terrific MTM posts and will no doubt be featured in the future, I decided just to stay home. I'm in a staying-home kind of mood. Because my house is in a GREAT BIG HUGE HONKIN' state of FLUX! Isn't this a beautiful green wall? It used to be white French doors. Apparently, I neglected to tell anyone about this upcoming change. You can imagine the shock of my little family when they returned home from school/jobs to a solid wall. Welcome home, honey! 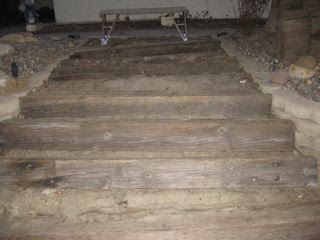 The steps are gone. 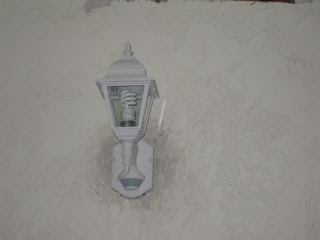 New dusk-to-dawn, energy-efficient, motion-sensor lights. These went in on Friday. Thank goodness! We were just a dinner guest away from being sued for a broken leg or neck due to a fall caused by substandard walkway lighting! 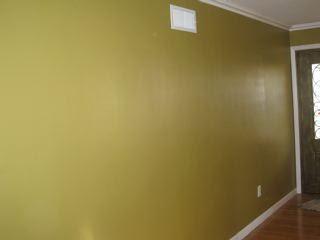 I would show you my pride and joy: a lovely adorable arch painted in Behr satin Calm Air (a yellowish-beige-ish color). However, the room behind it is too messy still, and I think you'd focus on the mess and not see the arch at all. I'm very excited because I've wanted an arch for AGES and now I have one. I may sleep under it tonight! Poor dh says he doesn't know what to expect when he comes home anymore. Here's a hint about today: two syllables, starts with "w", ends with "w". Hmmm....although in this case it ends in "s" because we're getting four regular-sized ones and 3 skinny ones! Please visit Travis' blog where he'll have a fun post and links to other participants. It's the THIRD meeting of The Book Review Club. We are really getting good at this. Look at the coffee already percolating in the corner. And the cute little basket of assorted flavored creams. And another cute little basket filled with muffins. Not to mention all the very amazing book reviews we've written! (I divided them up by Children's, YA, Adult this month. Let me know what you think.) A HUGE thank-you to all our dedicated reviewers! And who is this walking through the door? One of my very own critique partners? One of the Denny's Chicks? Yes, it's KATHY KREVAT. And she's saying something to me, "Go away and write I So Don't Do Makeup! I'm doing the book review this month." Awww. Do I have the best critique partners or what? Last month, Kelly took the reins. And, now, Kathy. Yes, I do understand that I'm picking up the tab at Denny's. Grand slams all around! BTW, if I missed linking to anyone's review, it's totally my bad. Nothing to do with Kathy. Leave a comment and I'll fix you right up. 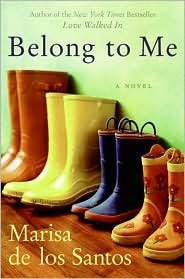 Belong to Me by Marisa de los Santos is my favorite book of all time. I'm so in love with this book that I'm having a hard time writing a review that does it justice. From the cover copy: A devoted city dweller, Cornelia Brown surprised no one more than herself when she was gripped by the sudden, inescapable desire to leave urban life behind and head for an idyllic suburb. Though she knows she and her beloved huband, Teo, have made the right move, she approaches her new life with trepidation and struggles to forge friendships in her new home. De los Santos weaves together the lives of Cornelia, queen bee Piper, the enigmatic Lake and her gifted son Dev with an intricate plot that moves the reader toward the startling conclusion demonstrating the power of love, family and friendship. I love de los Santos' writing styles. As an award winning poet, her prose is true artistry. Here's an example from page 53: What I mean by the first day of fall is that day when you suddenly understand with your whole body that the season has changed. When the air feels snappier against your skin and the sky's blueness turns wistful, and the humming of insects shifts pitch, and you just know like you know your own name that summer is over. I love the characters who are genuine and true as they feel their way through the various complexities of life. I immediately appreciated Cornelia's wit and humor. I came to understand and even like Piper, especially when she commits herself so whole-heartedly to her dying friend. We get to be in the point of view of Cornelia, Piper and Dev. De los Santos is amazingly accurate in the feelings and thoughts of a brilliant, thirteen-year-old boy finding his way in a new school, his first love, and solving a family mystery. I read this book three times. And I cried at the ending all three times. My husband bought me a signed first edition for my birthday. I'll treasure it forever. And, now onto the intrepid Book Review Club reviewers! They've gone all out to bring you some interesting books. Please visit them one and all!